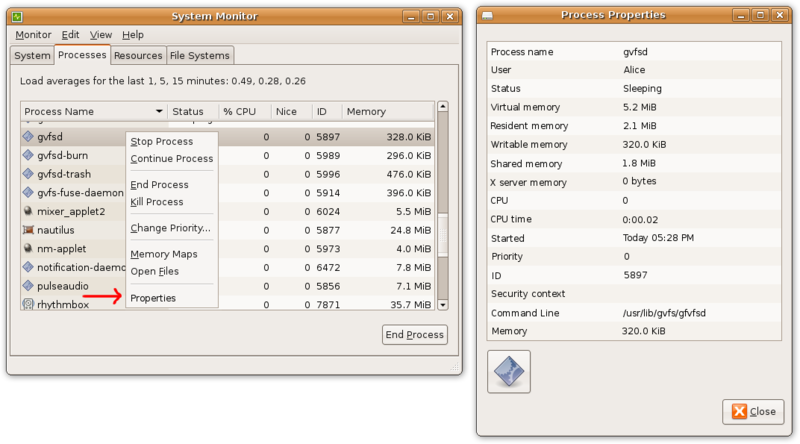 One of the popular Ubuntu Brainstorm ideas is to improve GNOME System Monitor. This has been reported to the upstream project, and the project developers agree with the concept. Comment on the bug that you are interested in working on this. Ideally the GNOME System Monitor developers will be able to help you, but I am also watching the bug and willing to help out. Get the dependencies required to build the GNOME System Monitor. On Ubuntu this is as easy as: sudo apt-get build-dep gnome-system-monitor. Check out the upstream: git clone git://git.gnome.org/gnome-system-monitor. Build and test it: ./autogen.sh --prefix=`pwd`/install ; make ; make install ; ./install/bin/gnome-system-monitor. Make some changes and repeat from step 4 until everything works. When you are done, do a git commit -a; git format-patch origin and attach the patch to the bug report. I just visited brainstorm.ubuntu.com for the first time. This site has 19672 ideas, 1 of which was implemented during the past 3 development cycles and none of which is currently being worked on. Is there anything but wishful thinking going on there? I like the way you present this fairly easy task since this makes it very easy for beginners to get involved. As for Brainstorm its a platform to get ideas and I'm sure there it had more results than just one thing. But the administration is quite hard! and as far as I know they simply have a huge lack of admins. Yes.. looks like it's a dump for ideas that no one cares about, except statistics of course.. Isn't most of that stuff already available by way of Edit->Preferences->Processes(tab) Information Fields ? I guess it's just as well, though, since I don't really know what I'm doing. No, it's just people not marking enough ideas as implemented or in progress. Brainstorm does have a lot of silly stuff, and a lot of wishful fire-and-forget feedback that's not really useful. But...it also has a lot of interesting concepts that the author simply need some mentoring on. It's also (unintentionally) a mechanism for feedback from users. If we can get more moderators and mentors for reporting bugs, creating patches, etc. we may actually have a kickin' community there.